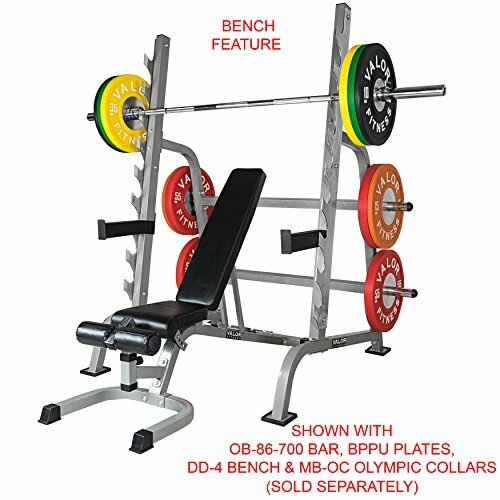 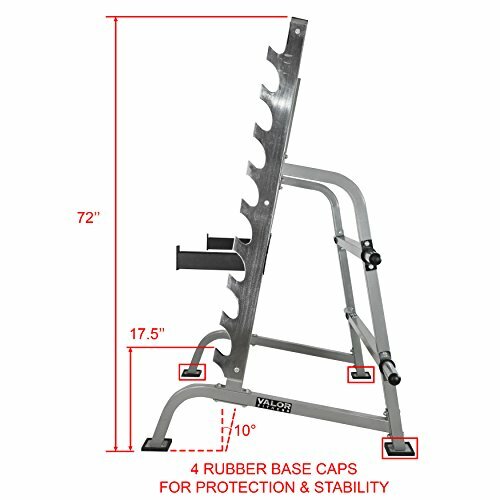 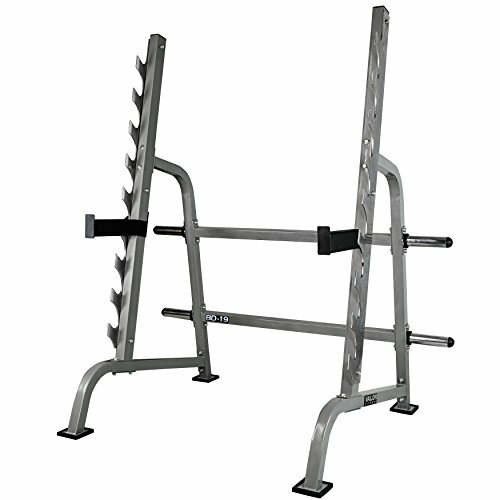 Constructed of 2" x 2", 12-gauge steel, demonstrating superior strength while in use with a maximum weight load of 600lbs. 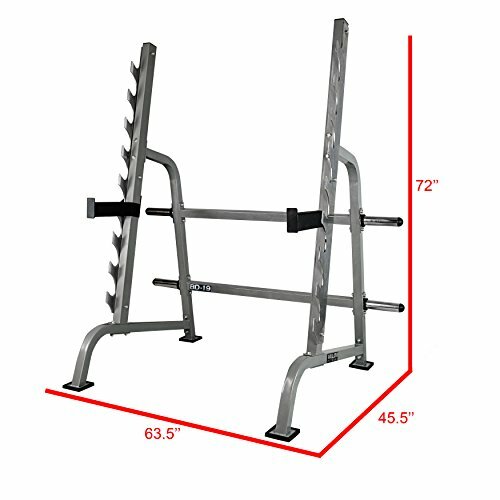 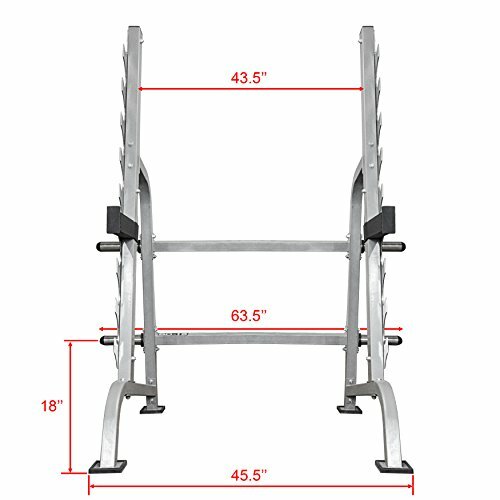 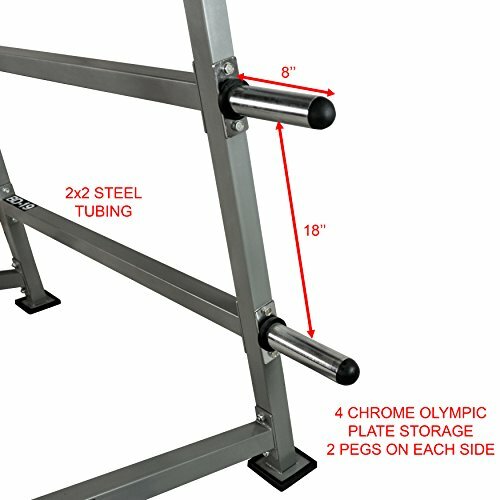 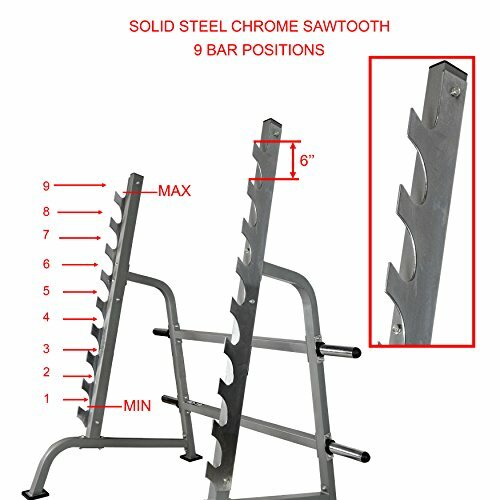 Many height adjustments with spacing of 6" in between each sawtooth height, a great addition to any home gym with single or multiple users. 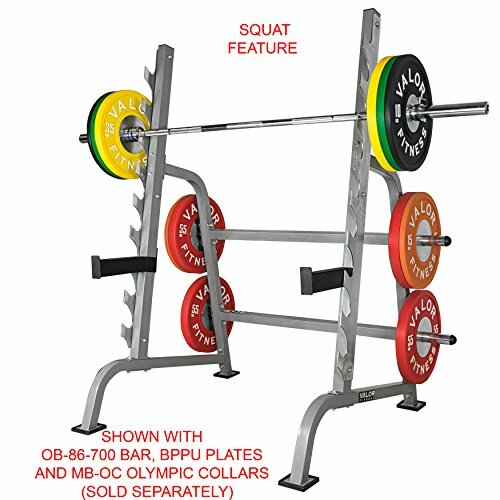 Four 8" Olympic plate pegs are featured on the sides of the unit, giving ample space to store plates, adding more stability to the unit. 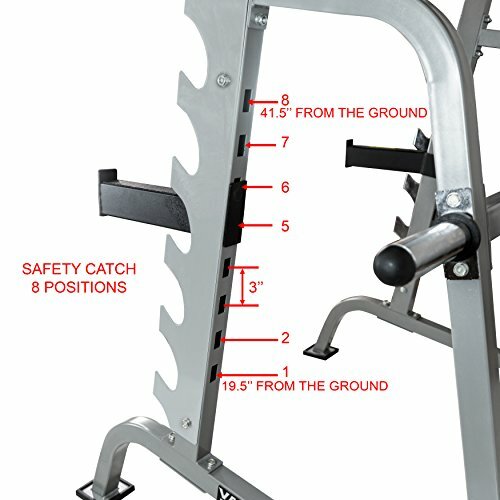 Two 12" adjustable safety catches to place on the unit in the instance you cannot complete the lift.